Hundreds of Byetta lawsuits have been filed over the drug’s alleged association with pancreatitis, pancreatic cancer and thyroid cancer. In 2015, AstraZeneca acknowledged settlements in dozens of Byetta cases. Bernstein Liebhard LLP is investigating potential product liability claims on behalf of patients who may have developed pancreatitis, pancreatic cancer, or thyroid cancer related to the use of Byetta. For more information, please call (888) 994-5118 to schedule a free, no-obligation case review. Byetta (exenatide injection) is a twice-daily injectable drug that is used in conjunction with diet and exercise to control blood glucose in people with Type 2 diabetes. 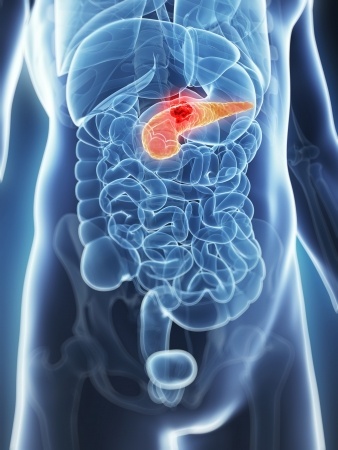 The drug is known as an incretin mimetic, and mimics the effects of glucagonlike peptide-1 (GLP-1), an incretin hormone that stimulates the pancreas to produce more insulin. October 2007: the FDA revealed that it had received at least 30 reports of acute pancreatitis in patients taking Byetta. August 2008: a second FDA alert disclosed six new cases of necrotizing or hemorrhagic pancreatitis in patients using Byetta, two of which resulted in deaths. The drug’s manufacturer also acknowledged four additional deaths involving Byetta and pancreatitis. October 2009: The FDA announced that it was requiring the Byetta’s manufacturer to conduct six post-marketing studies in order to investigate a possible link between the medication and acute pancreatitis, including hemorrhagic and necrotizing pancreatitis, and to explore a possible association with thyroid cancer and pancreatic cancer. March 2013:The FDA issued a Safety Communication after researchers at UCLA found evidence of pre-cancerous changes in the pancreases of patients who used incretin mimetics. The FDA has so far been unable to conclude that such an association exists, but its review is ongoing. July 2011: A paper published in Gastroenterology reported that Byetta appeared to be associated with a 4.7-fold increased risk of thyroid cancer. The same study also suggested that the drug increased the likelihood of pancreatic cancer by nearly 3-fold, and raised the risk of pancreatitis by 6-fold. April 2013: The Institute for Safe Medication Practices revealed that the FDA had received 263 reports of pancreatitis, 71 cases of pancreatic cancer, and 14 incidents of thyroid cancer among patients taking Byetta in a single 12-month period. Compared to other classes of diabetes medications, incretin mimetics were far more likely to be associated with pancreatic cancer. You may be eligible to take legal action if you or a loved were diagnosed with pancreatitis, pancreatic cancer or thyroid cancer while using Byetta. To learn more about filing a Byetta lawsuit, please call (888) 994-5118.